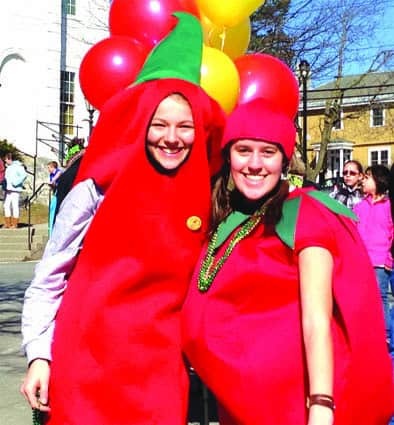 Saturday, March 11, 1 p.m.—MIDDLEBURY—On Saturday, March 11, downtown Middlebury will close its streets to welcome thousands of visitors to the 9th annual Vermont Chili Festival. Beginning at 1 p.m., this popular street party in on Main Street features performers, music, two afterparties and over 50 different kinds of chili to sample and enjoy. Entry fee to the event is $8 at the gate or $6 in advance online at vtchilifest.com or at participating local retail locations. Check online for a list of all pre-sale ticket locations. Children ages 8 and under are admitted for free. A panel of guest judges will determine best and runner-up in each of the seven categories: chicken, beef, pork, game, veggie, kitchen sink, and (new this year) the “anything but chili” category. The judges will also be deciding the overall third, second and first place chilies. All winners will receive cash prizes, including $1,000 for the champion. Another new addition to the festival this year is the amateur chili category for individuals, community groups and organizations who want to make a smaller amount of chili (5-10 gallons), rather than the 15-plus gallons required by other vendors. The amateur category is free to enter and there will be a $100 cash prize to the winner. In addition to all the fun of tasting chili, engaging with chili chefs and servers and browsing additional merchandise available at the chili booths, festival-goers are invited to vote for their favorite chili, as well as for the booth they think is most creative. The winners of the “People’s Choice” and “Best Booth” awards will also receive cash prizes. Winners will be announced at the festival stage at 4 p.m.
From there, everyone is invited to two different after-parties at 51 Main and Two Brothers Lounge. Both parties are free and will feature live music from Mellow Yellow (51 Main) at 3 p.m., Snake Mountain Bluegrass 1-4 p.m. (Two Brothers) and The Horse Traders (Two Brothers) beginning at 4 p.m. Proceeds from the Chili Fest will benefit the community-building efforts of the Better Middlebury Partnership. Visit experiencemiddlebury.com for more info. Participants and the crowd of the Vermont Chili Festival really get into the spirit of the day with costumes like these chili peppers.